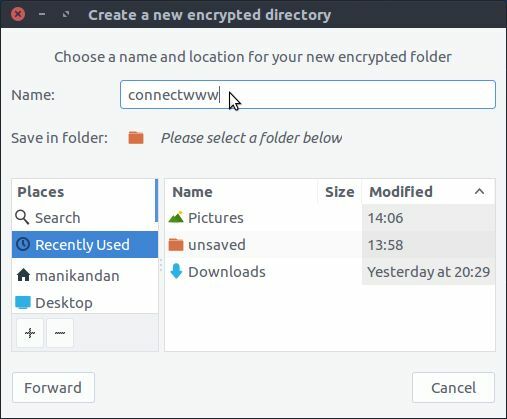 Cryptkeeper is a free open source GUI tool to create a password protected folder on your ubuntu system. It will install as a indicator applet on your ubuntu. 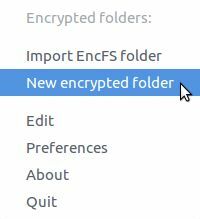 It uses EncFS Encrypted Filesystem to manage folders. 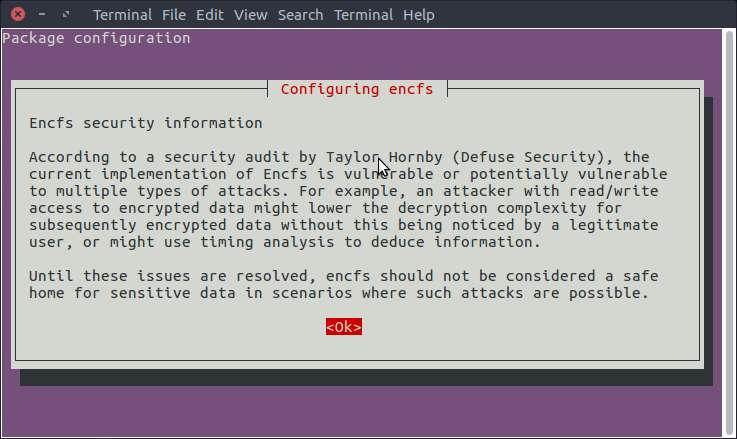 EncFS provides an encrypted filesystem in user-space. To install Cryptkeeper on ubuntu, you need to open terminal and run the below command. Then type the below command and hit enter to install the the Cryptkeeper. Type Y and press enter to confirm the installation. Then select Ok and press the enter if any warning shows. After the successful installation of Cryptkeeper restart your ubuntu, if needed. To open Cryptkeeper click the Dash home from unity launcher. And type Cryptkeeper in the search field. Then click Cryptkeeper. It will open as a indicator applet on your ubuntu top bar. 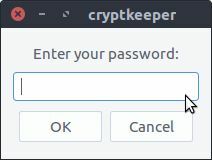 Click the top bar cryptkeeper applet and select New encrypted folder option. choose your path and name the folder and then click the Forward button. Then type the password and click forward to create it. 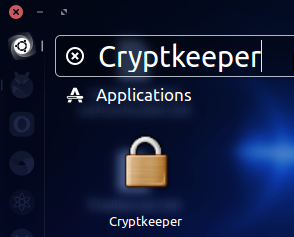 To access the locked folder, you’ll have to select it from Cryptkeeper indicator applet and type your password. It will mount as a separate partition. 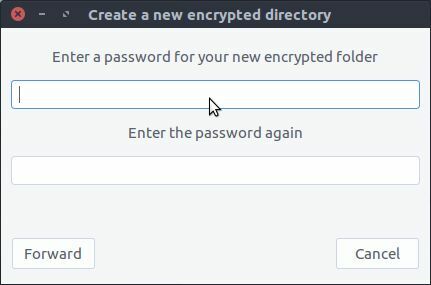 Then create new files in the encrypted folder. 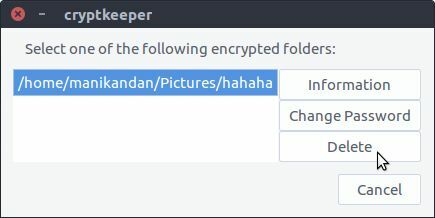 To lock the folder again, Go to the cryptkeeper indicator applet and uncheck the required folder. If you want to delete the password protected folder, in the cryptkeeper menu choose the Edit option and setect the folder and press the delete button.